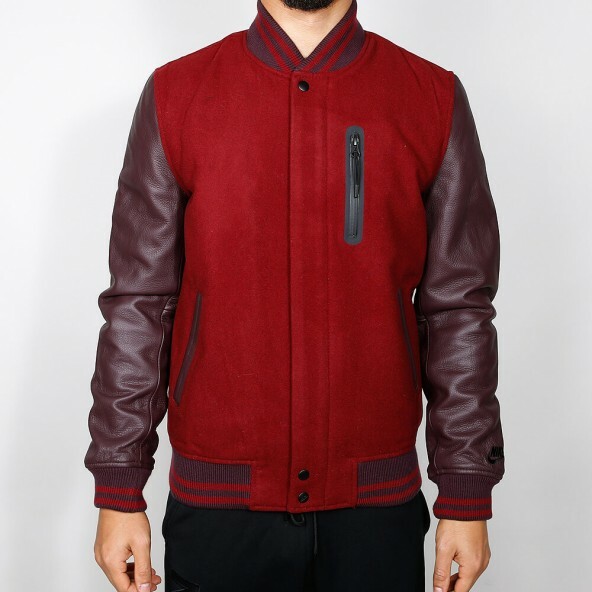 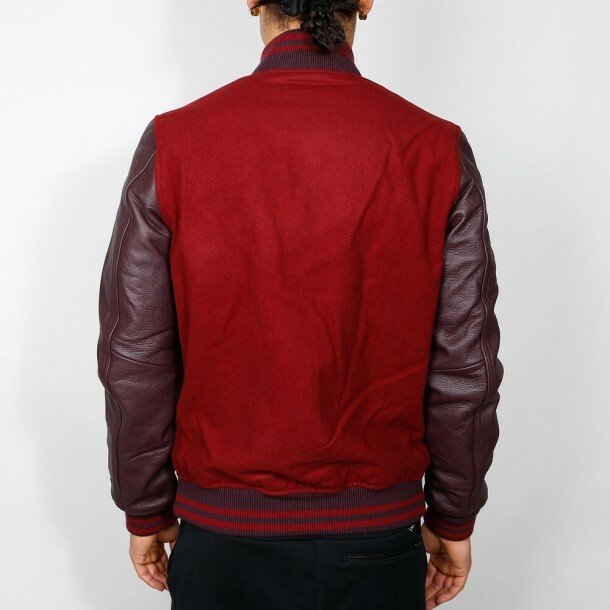 The Nike Destroyer Jacket for men comes in the iconic shape of a College Jacket whose sleeves contrast with the rest of the jacket due to color and material. 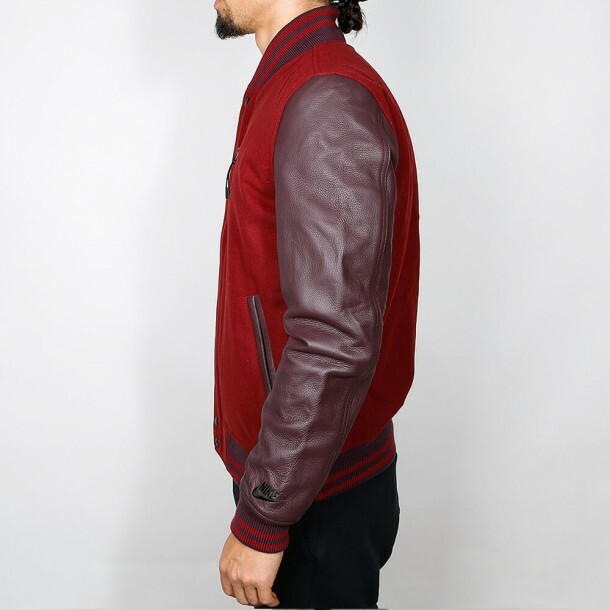 The warm lining and the water-repellent leather sleeves make the Destroyer a great outdoor jacket for cold days. The elastic cuffs on the collar, the sleeves and the hip seam ensure a comfortable and snug fitting.